Keep ’em Cozy and Warm! Use Coupon Code SPRING2019 for 10% off Your Order! Personalized gifts are always treasured. 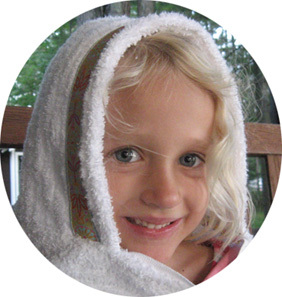 That’s why we created TowelHoodies, a Hooded Towel made with 100% pure terry-cloth cotton, including your choice of vibrant ribbon. 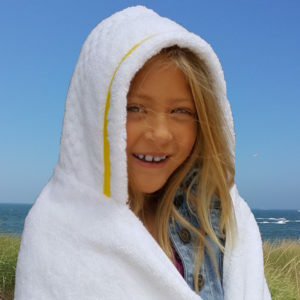 Thick and absorbent enough for the beach yet beautiful hanging near the bath, Towelhoodies are soft, durable, and stay bright through numerous washings. Created for the young and the young at heart. 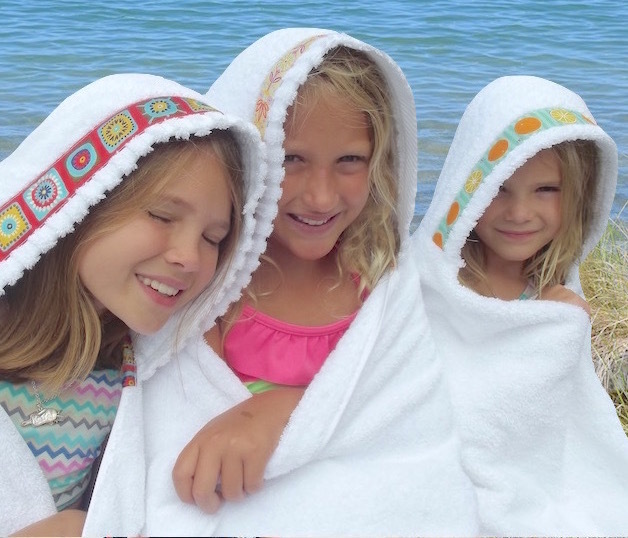 "Finding the right towel for Olivia has been a Goldilocks exercise. This one is too small. This one is too big. But this one is just right. The ‘just right‘ one is from TowelHoodies … a total pleasure to do business with." 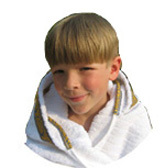 These are the hooded towels that last for years, made with 100% Pure Terry Clothe Cotton. 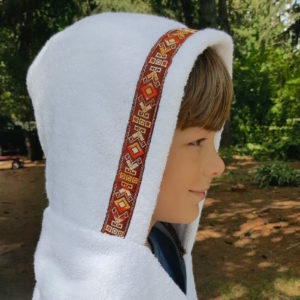 This handsome “aztec” style TowelHoodie is great for rough-and-tumble boys, made with thick and robust cotton. 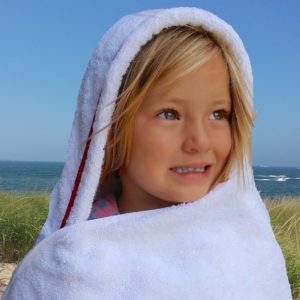 From infant to toddler to kid, this TowelHoodie is extra soft and thick featuring a classic red ribbon that lasts for years of use. TowelHoodies offer a classic look that never tires over time, made with the highest quality eco-cotton for a truly special gift. 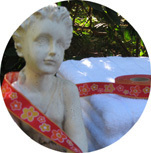 More Gorgeous Jacquard Ribbon Trim! 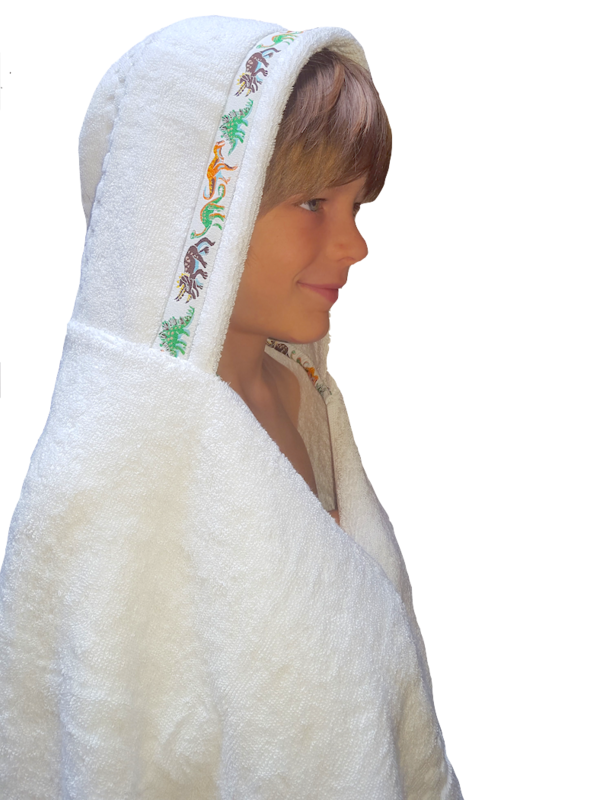 This special-edition “Holly” style TowelHoodie is perfect for the holidays, while staying beautiful year-round, made with thick and robust cotton. * Our embroidery service is currently unavailable but we expect it to be back in later April. 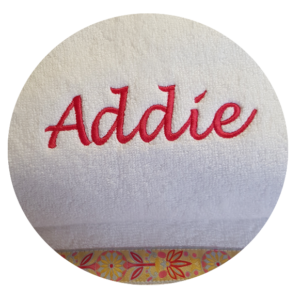 First Select which TowelHoodie to Embroider, then enter the First Name or Monogram below. Check-out made Super-fast and Easy! Send Gifts from our Website! 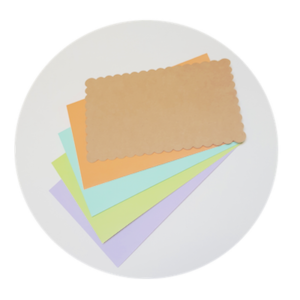 Simply list the gift recipient as the “Shipping Address” when you check out. Customer satisfaction is our top priority! See store policies and Shipping info.